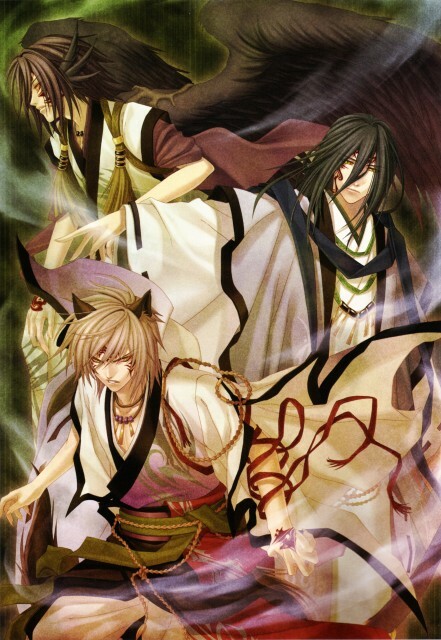 Scanned from the Soukoku no Kusabi ~Hiiro no Kakera 3~ visual book. Browse Soukoku no Kusabi Gallery: Recent | Popular. may i know what game is this actually. This is a game right? I love the silver-haired dude's demon form! Beautiful. That girl is pretty. The detail in these pictures are amazing. Thanks for sharing! Yay! Yone Kazuki never ceases to amaze me with such wonderfully well-drawn hot bishies. This fangirl is enjoying a very large desert here. Thanks for sharing such hot bishies, I mean scans with us.